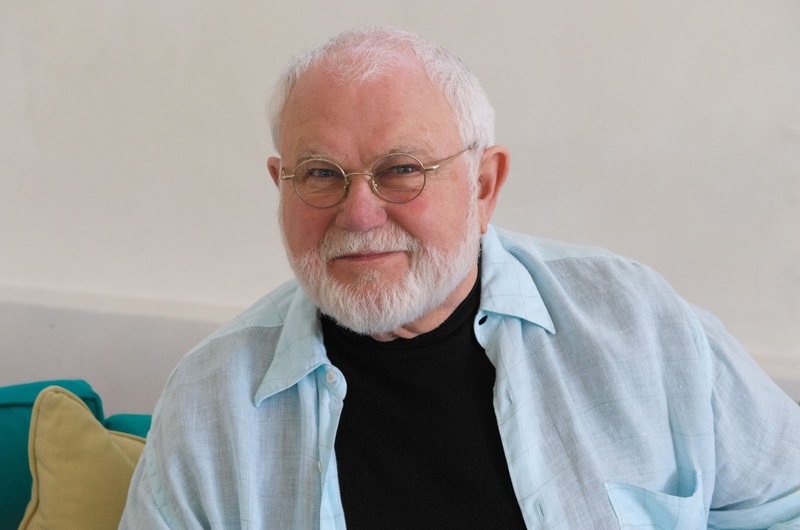 Tomie dePaola (pronounced Tommy Da-POW-la) is a Powerhouse! He's written and/or illustrated nearly 250 books for children, has been a long time member of the SCBWI Board of Advisors (he is now emeritus), founded the Illustrator’s Committee of the SCBWI board which produces events especially for illustrators, taught the first master class at an SCBWI conference, and so much more. I had the great fortune to chat with Tomie about his recent honor, his career, and the craft of writing and illustrating for children. Lee: Hi Tomie! You're the man who put the "I" in SCBWI and now you're the man with the Society of Illustrators Lifetime Achievement Award! Tomie: Yeah, how's that. Wow, huh? Lee: I wanted to jump into some questions... Do you think visually? Tomie: I guess so. Yeah... You know, I don't really know. I think that when I have a visual problem, like doing an illustration or a painting or doing a room or doing a table or whatever, I do think visually. I hear my stories rather than... the written word isn't that important to me as much as for my voice. When I was a kid, my mother loved the movies. And my father really didn't care for the movies so much. He was a barber, my mother was, you know, just a housewife. I came along and my brother was four years older than me. So by the time he got off to school, I was still pretty young. So my mother would go to the matinees and take me along with her. And I learned sort of movie theater etiquette at a very early age. And I have home movies of me at three years old imitating Mae West! So, I think in terms of visual and sound. When Lin [Oliver] was visiting, she said to me, What have you got on your CD player? And I said, oh, I play lots of soundtracks, movie soundtracks. Classical-type movie soundtracks, or exciting ones, like Babel. I think if I hadn't been an illustrator, if I hadn't been a visual artist, I think I probably would have tried to get into movies. Lee: I guess music is a way to help yourself get tone, right? Tomie: Yeah, yeah. Well, I never saw a movie that didn't have background music. I think if I could carry around background music with me all my life, I'd be happy. I see my life as a dramatic event! Lee: That's good. Hopefully it's a happy event. Lee: E.B. Lewis, in a session he gave on "Mastering the Visual Language" at the 2012 SCBWI Summer Conference, discussed how it's not just writers who need to have a voice, illustrators need to develop a voice as well, and you just mentioned voice. When E.B. was describing his own illustrator voice, he called it "emotion." How would you describe your own voice as an illustrator? Tomie: For me, there's three things that are important in both my writing voice and my visual voice, my picture voice. The first one is honesty. I have to really be honest to myself and the material. And not show off. And not use the platform as a springboard for how fantastic I am. But it has to be very honest, and I always keep the audience in mind. I think that comes also from theater training, which is a wonderful training for anybody doing books or illustration. The other thing is that I really love humor. I like it when children laugh out loud at my pictures. I don't try to - for a trained illustrator... 'Cause you know, I went to Pratt Institute in the early days when discipline was very strict, and had to do lots and lots and lots of drawings, but the important thing that we had to do, we had to learn all the technical aspects, and the formal aspects of making a picture. And then we had to forget it and make sure that all of that was behind us, and in our souls and in our fingers, and then we could create what would be any kind of an emotion. And you learn how do that from getting assignments. I didn't want to just draw little duckies and chickies. I wanted to draw young people having angst and opera singers throwing themselves off of buildings and all the wonderful things that I saw as a child in film and on stage and in puppet shows and in books. If you do a lot of interviews, I'm sure you know that people have different vocabularies? Tomie: Doing an illustration, it's just honing the visual vocabulary that you choose or you are born with or that you train into. Lee: I want to make sure I got that. It was honesty, humor and then I guess, the training, right? Tomie: Yup. That's absolutely it. Honesty - I think that's one of the hardest things for young people to grasp. Because they're trying to become famous, they're trying to make a splash, they're trying to get noticed. And in this day and age, we have so many imitators. Everywhere. You have to find your own center. And that's where the honesty starts, being honest with yourself and then being honest with your audience. 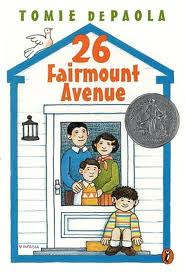 Lee: Like that moment in the 26 Fairmount Avenue series [in the first book] when you as a little boy find the chocolate laxatives? Lee: That are willing to look bad and are willing to go to those hard places. That was a moment that made me think, Wow, this is an author-illustrator just being so honest. Tomie: Oh, thank you. Thank you very much. Lee: And honestly, going to be one of my daughter's favorite moments in a book ever. Tomie: (Laughs) The awful thing is that they don't make chocolate X-Lax anymore, just because of accidents like I had when I was a child. Lee: (Laughs) When you've illustrated books for other authors, like "The Tale of Rabbit and Coyote" by Tony Johnston, and even in some of your own work, I'm thinking of "The Parables of Jesus," you use different visual styles with different works. I'm wondering if you can talk about the process you go through of matching the tone of the art to the tone of the words. Tomie: The minute I get a project that's not my own story, let me just back up a minute... I think the most important thing for me is to try to hold off on how I'm going to illustrate something - including my own work - until the story is in my hands. In other words, it's very tempting to try to start to figure out how I'm going to illustrate a book while I'm working on the manuscript, for my own stories. But I really have learned over the years to not even think about what's going to happen until the story is finished. Then, I can let my wild illustrator imagination let go, and then it becomes the illustrator's book instead of the writer's book. I remember years ago Wally Trip said at a conference - this was maybe thirty years ago - Wally Trip was quite a wonderful illustrator of animals especially, very very humorous illustrations. He said, when he gets the manuscript about Helen's bunny rabbit, it becomes Wally's bunny rabbit. And that's the way I try to approach manuscripts that I haven't written as well as the ones I have written. I let the manuscript soak into my head and say okay, Tony Johnston's Rabbit and Coyote, Tony and I had talked about the project personally, and she wrote that book because she had lived in Mexico for a while. She had met this Mexican-Indian storyteller, and he had some of these wonderful stories in a very ancient - not Spanish - but ancient Indian language. And he told them to her. And so she actually kind of translated them into Spanish or English. So I immediately knew that I wanted to do that book in a more folk art, Mexican folk art style. So I just immersed myself in Mexican folk art. And then let it seep through and come out the other end the way it's supposed to, or the way I wanted it to, or the way I was surprised by it coming out through my fingers. 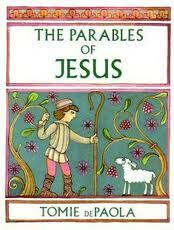 And the same way with the "Parables of Jesus." I had a choice, you know, my attraction to religious art, or sacred art, has always been pre-Renaissance. The Romanesque, very stylized, not superhuman, but very stylized line and form. So I chose to emulate that kind of style instead of an overblown or a sentimental style - which just drives me nuts, when I see anything done with a sentimental, whether it's a religious story or a fairy tale or a Mommy-Loves-Me book. Sentimentality has no place in my life. Sentiment does. But I learned years ago that there's a difference between Sentimentality and Sentiment. Sentiment is true feeling. Sentimentality is a romantization of feeling so you don't have to really feel - it's a feel-good feeling instead of a genuine feeling. So I really immerse myself in the story and let the story dictate... part of my job as an illustrator and a visual artist, was, when I was younger, and I continue to do it, was to learn as much about the way other artists painted and how they saw the world so that I would have some little leg up on how I saw the world. And you see the world slowly slowly slowly as an artist. So I have a lot of resources built in that I've developed over the years. And I have a huge research library here at my studio. All the art that I love. If I have a free day or free time, I often will just sit and open a book and look. I've increased my vocabulary over the forty-five-plus years I've been working. So I have a good backlog inside my head that I can visually match the story or the intent of the story to an illustration style. Lee: That's so cool, thanks for sharing that. I also love hearing that you have that pass-off of the manuscript from the writer to the illustrator even with your own work. 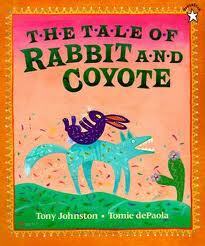 Come back on Tuesday October 16, 2012 for Part Two of my three part interview with Tomie dePaola! We talk about the maxim "Write What You Know," discuss whether artists have a responsibility to tackle social issues, and much more! Tomie, this is lovely. Thank you.